First session of the Working Group on the abolition of paid travel to beneficiaries. Members of the group were several representatives from local markets, that are not directly related to the situation. Today, March 25, at the premises of the City Council its first meeting of a working group were held to study and solve complex problems about passenger traffic. We have to remind, that the decision to create such a group was taken as a result of discussions on the draft decision of the executive committee, "The decision by the Executive Committee of 10.03.2015 № 115" during the meeting of the Executive Committee March 23, 2015. The first working group meeting was attended by 24 people. 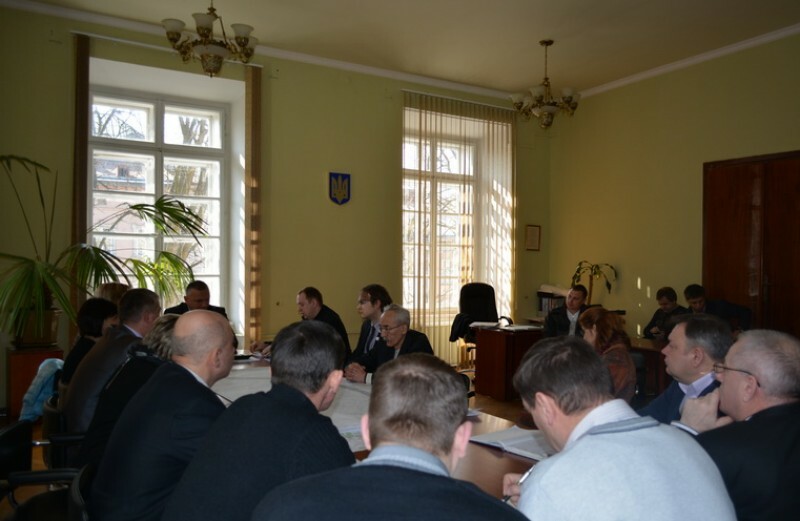 In particular, members of the group were 7 members of the City Council, which exceeds the number of NGOs, who are competent in deciding the cancellation decision number 115 of 10.03.2015 p.
It should be noted, that the working group included 7 members from the carriers of Lviv. These authorized persons during the discussion agenda defended the increase in tariffs for public transportation. They referred to the unreasonableness of transport requirements of the activists of "Rozvytok Hromady", the Union of large families of Lviv region "Happy family" (“Shchaslyva Rodyna”), NGO" Slaves are not allowed to Heaven"(“Rabiv do Rayu ne puskayut”), " Mothers of Chernobyl " (“Materi Chornobylya”), NGO" Association of Consultants 'Expert Group'” in relation to cancellation decisions on pay-map for beneficiaries. Dark horses for the majority of those present were two representatives from the Association of self markets and private enterprise "Our market" in the working group. Such persons are not directly related to the issues discussed today. Members of NGOs wonder whose interests defend these representatives? Activists promised in the next few days to figure out the issue. On the results of the investigation we will notify the following articles. After the meeting, the representative of the NGO "Rozvytok Hromady" Yuriy Tatomyr said: "To our proposals to address the issue of paid travel cancellation for privileged people did not listen, and sometimes they were completely ignored by the presented. The result of today's discussions at the meeting of the working group was the decision of preparing their own proposals of each member on Friday, March 27, at 8:00 h., which will result in the decision. Activists of "Rozvytok Hromady", the Union of large families of Lviv region "Happy family", NGO " Slaves are not allowed to Heaven" . " Mothers of Chornobyl ", NGO" Association of Consultants "Expert Group" will continue to defend the legitimate rights of the privileged categories people for free travel on public transport and to seek cancellation of the decision LCC number 115 of 10.03.2015, which completely violates applicable law limiting constitutional rights.